Guinn Construction performs all types of Pile Driving jobs across the entire state of Louisiana and into its surrounding states. Pile Driving is the use of a mechanical device to drive piles into soil to provide foundation support for buildings or structures. The devices that are used to install Pile vary due to the type of Pile being driven and the type of soil the pile is being driven into. The devices are called Hammers and there are many types. Some of the type Hammers used by Guinn Construction are the Diesel Impact Hammer, Vibratory Hammer/Extractor, Clothes Pin Hammer, and Drop Hammer. 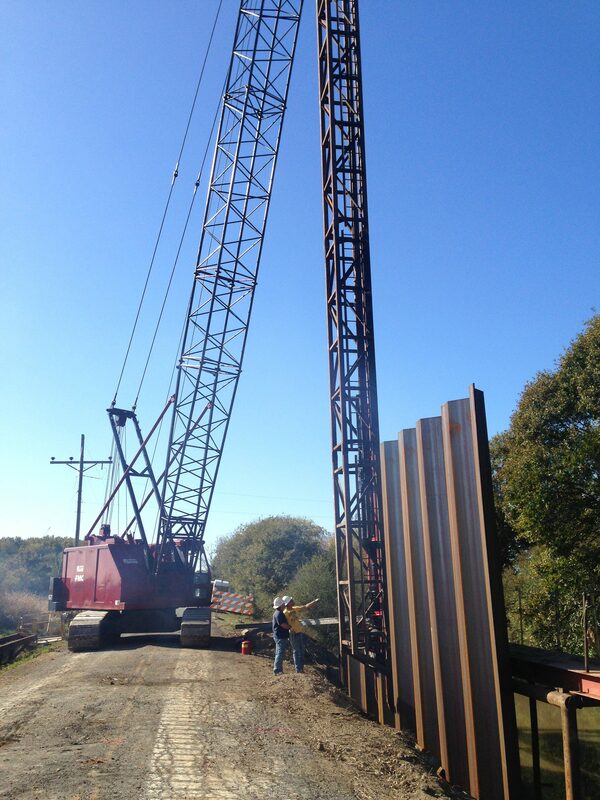 We at Guinn Construction perform Pile Driving of all sorts which include: Timber Pile, Concrete Pile, Steel H Beam Pile, Steel Pipe Pile, and Steel Sheet Pile. Timber Pile is used as structure support, Bulkhead, or Dolphin Structure. Concrete Pile is used mainly as structure support for bridges, platforms, and some foundation pile. Steel H Beam Pile is used as structure support for bridges, foundation support for structures. Steel Pipe Pile is used for support of some bridges, foundation support for structures and oilfield application. Steel Sheet Pile is used to contain an embankment, but can also be used for foundation pile in some applications. Please contact us for all your Pile Driving needs.